Olay is an American skin care line. It is one of Procter & Gamble's multi-billion dollar brands. For the 2009 fiscal year ended June 30, Olay accounted for an estimated $2.8 billion of P&G's $79 billion in revenue. 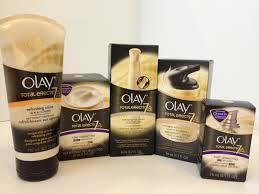 Olay originated in South Africa as Oil of Olay. Graham Wulff (1916-2008), an ex-Unilever chemist from Durban, started it in 1949. The name "Oil of Olay" was chosen by Wulff as a spin on the word "lanolin", a key ingredient.